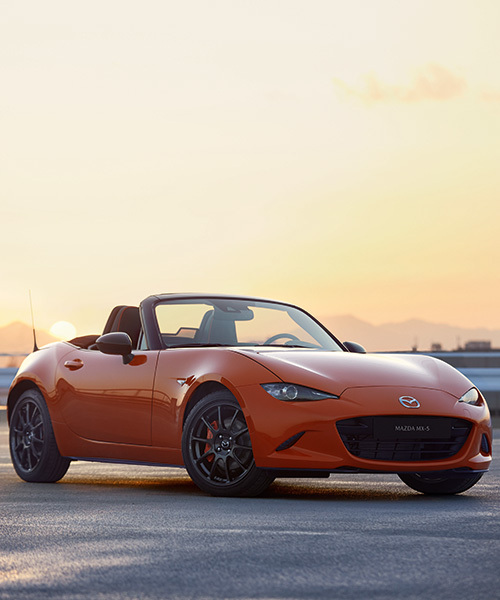 the iconic mazda MX-5 has been dressed in a racing orange strip for its 30th birthday. 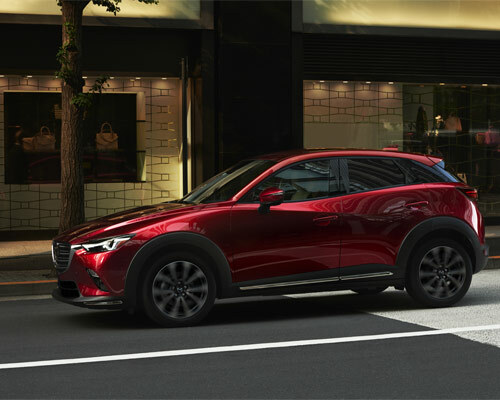 with insight from masashi otsuka, vice president of mazda’s R&D and design in california, we explore how the 'CX-3' extends the essential emotive style of their KODO design philosophy. 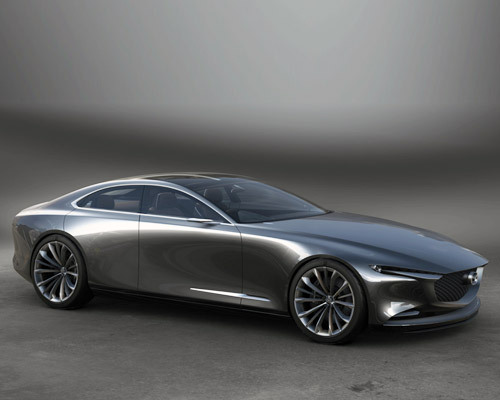 mazda's vision coupe'concept expresses a minimalist japanese aesthetic . 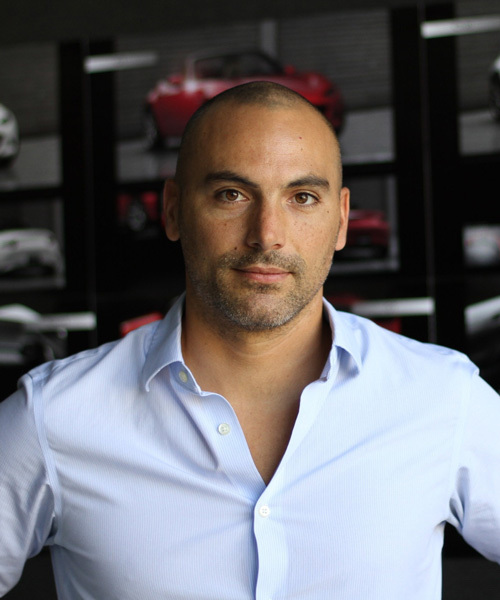 fresh from test driving mazda's latest cars, designboom spoke with julien montousse, who explained how he and his team work on developing new ideas, and the role that design has to play within the automotive industry. designboom was invited to the southern californian city to test out the new cars, and take a closer look at mazda's desire to develop an almost symbiotic relationship between driver and vehicle. the mazda RT24-P is powered by a 'MZ-2.0T' engine 2.0-liter, inline four-cylinder turbocharged engine which produces a staggering 600 horsepower. 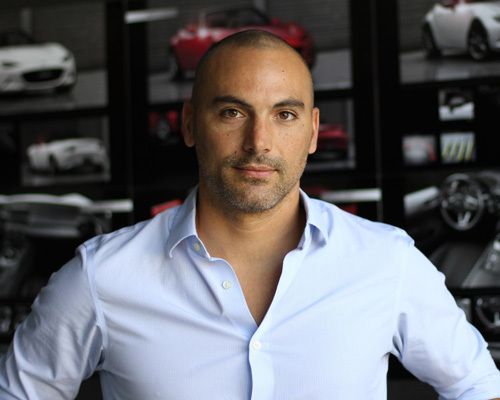 called the 'MX-5 levanto', a special coating has been produced with skilled artisans and craftsman who carefully measured out the amount of sheer from the paint to produce a natural blend, without any kind of separation between the two colors. 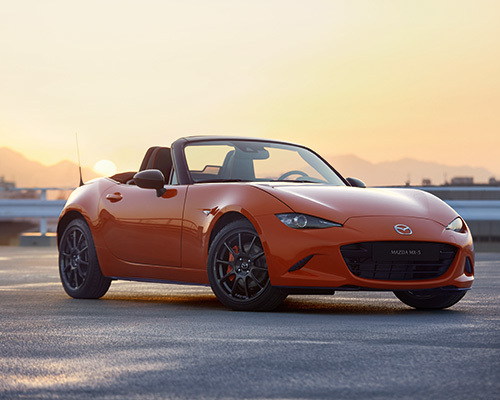 featuring fastback styling with a smooth roofline that slopes down to the rear, the car’s unique rear and retractable back window deliver a distinctive convertible feeling. the ‘MX-5 spyder’ and ‘MX-5 speedster’ concepts take the original car’s lightweight roadster doctrine a step further, reducing even more weight while accentuating open-air driving. 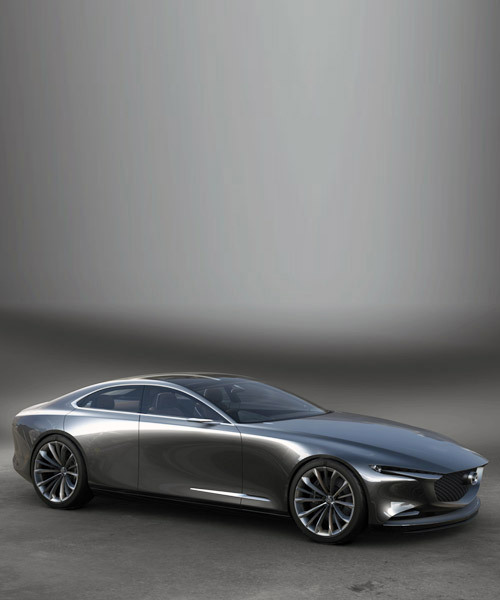 a proportioned front engine, rear wheel drive model, the 'RX vision' concept represents an insight of the future from mazda. two race cars spear into the air on a twisting track of steel beams, towering above visitors to the international sporting event. 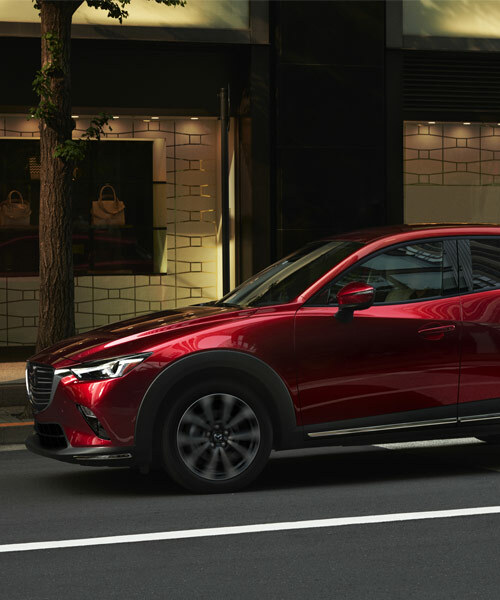 located at the mazda design space in the brera design district, the mazda ' KODO - soul of motion' collection emulates the dynamic beauty of wild animals' movement.